First yacht built by Silver Arrows Marine & Mercedes-Benz partnership spotted in France. 14m in length, price tag reportedly set at $1.7 million. Capable of cruising at 30 knots, 10 models will be built, each going to a different country. 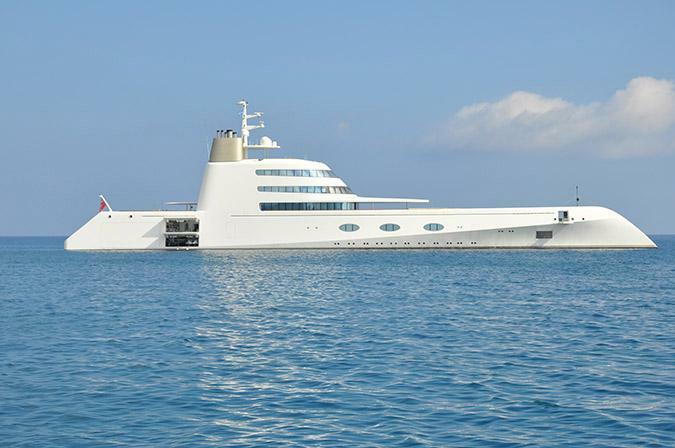 Andrey Melnichenko decided to put up M/Y A for sale according to an investigation by Forbes Russia. A spokesman for Mr. Melnichenko did not comment on the matter. Madame Gu has been recently seen at the International Yacht Club d’Antibes in France. The superyacht was built by Feadship in 2013 and delivered after four years of construction. In 2014, she was named Motor Yacht of the year during the World Superyacht Awards. 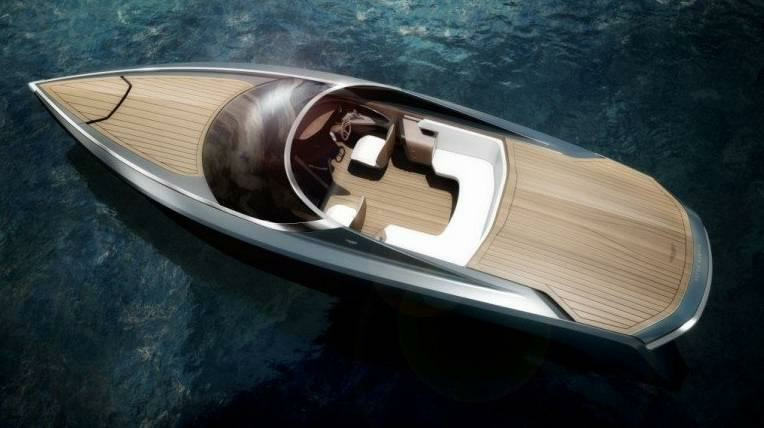 Aston Martin and Dutch boat builder Quintessence Yachts showcased their first yacht ever at the recent Milan Design Week. Named AM37, the vessel is the result of years of research and development, which aim was to challenge the status quo of the nautical world. 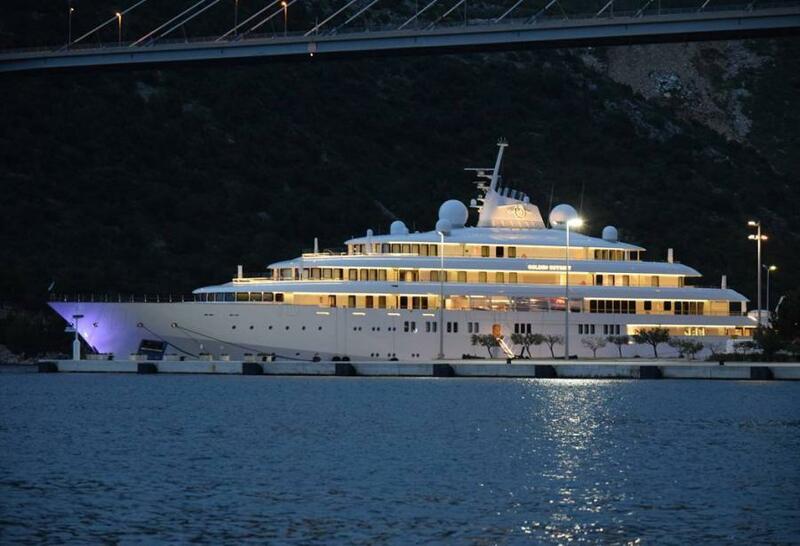 Lurssen’s yacht Golden Odyssey has been moored in Dubrovnik, Croatia. Launched in March 2015 in Lemwerder, Germany, the 123m megayacht said to be owned by Prince Khaled of Saudi Arabia. James Bond’s yacht arrives for the London on Water show. The vessel, named Soufrière, on which Daniel Craig and Eva Green were sailing to Venice during Casino Royale in 2006, will be showcased at St Katharine Docks from May 4-7. 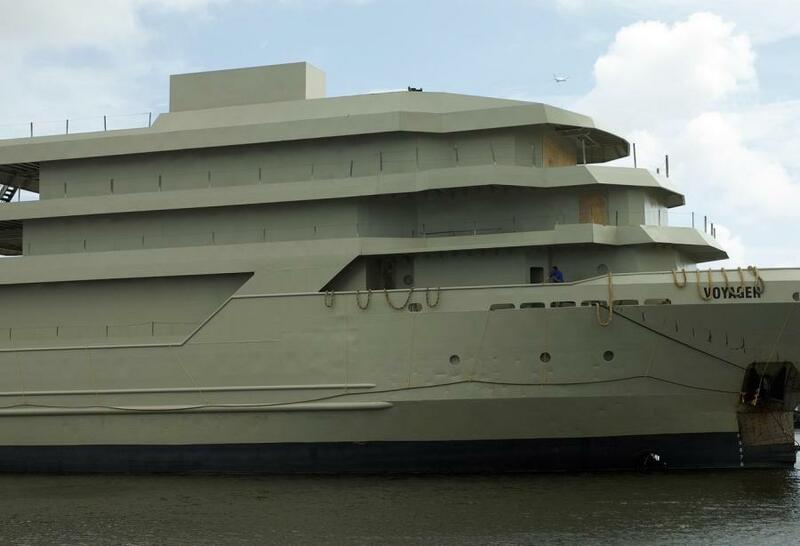 91.4m yacht conversion project currently underway in US. Former supply ship, Voyager will become largest US-build on completion. Vessel was originally 63 meters in length. 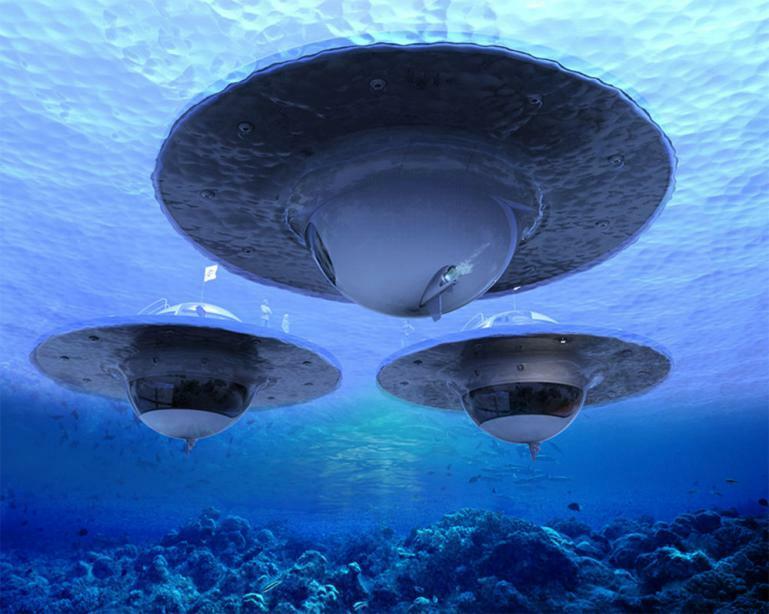 Naples-based marine architects and builders Jet Capsule unveiled its latest seafaring concept, the UFO (Unidentified Floating Object). The vessel features half-spherical shells as passenger compartments, which are divided by a floating disc that doubles as a sundeck. Performance wise the UFO will provide a top speed of 3 knots.